By many accounts John Lennon’s childhood upright piano from his Aunt Mimi’s house was his favorite piano. 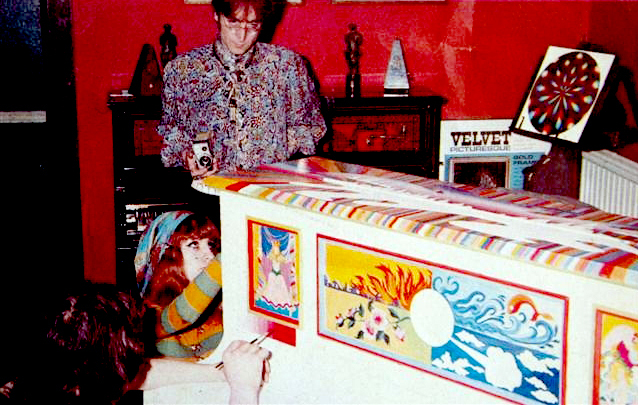 In 1967, Lennon had the piano painted at his Kenwood home by Dutch “design collective” artists “The Fool“. The artist below are Simon Posthuma and Marijke Koger. 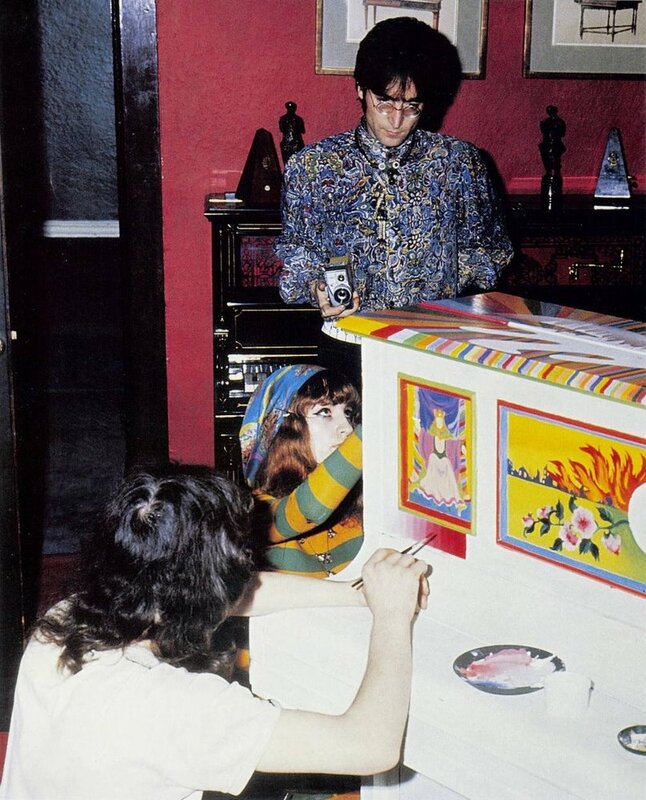 Somehow without explanation, Lennon’s “The Fool” piano ended up and still resides at George Harrison’s Friar Park mansion. 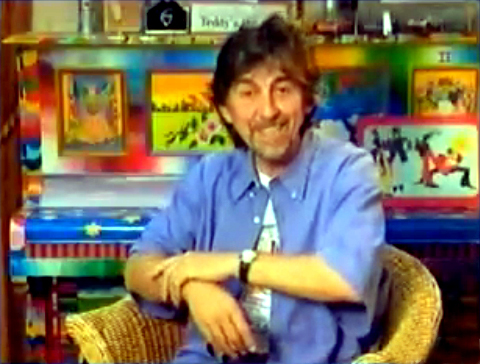 Here’s a photo of George sitting in front of “The Fool” piano. 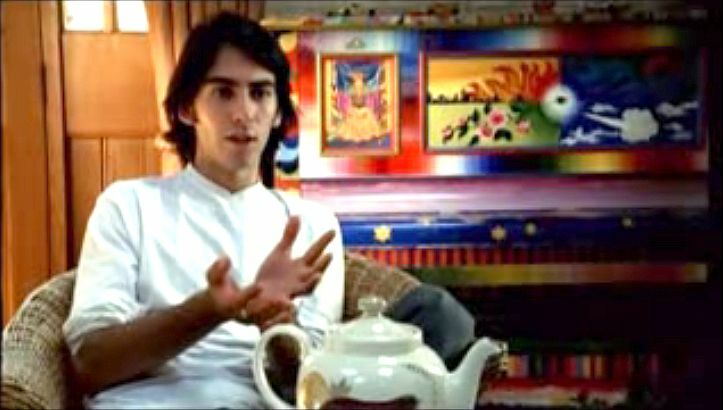 Here’s George’s son Dhani in front of the piano as well. 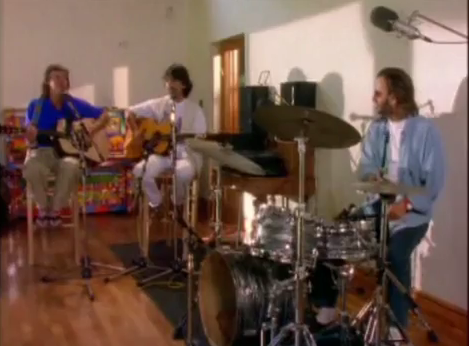 Finally, on the bonus DVD of The Beatles Anthology, Paul McCartney, Ringo Starr and Harrison jam together with “The Fool” piano behind them. Here’s a screen shot from the session with “The Fool” piano in the background. 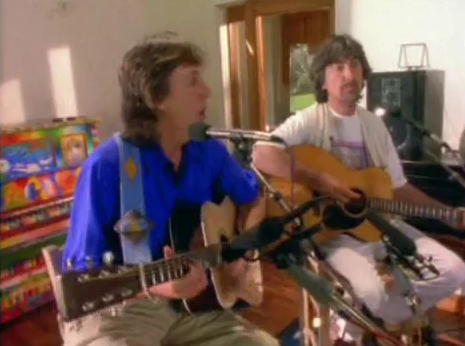 I’d love to get the backstory on how the piano ended up at George’s Friar Park house. INTERESTING Point…! I wonder if it has anything to do with the ‘reshuffling’ of The Beatles’ assets when they officially dissolved the partnership in 1975 (When John finally signed the documents). I understand that the Tittenhurst estate was signed over to Ringo Starr, for not much of explanation either. And I wonder if this Piano was once residing at Tittenhurst as well, and through continuing close-relationships between Ringo and George, when Ringo took possession of Tittenhurst, he handed it over to George…? I am with you – I’d like to know the back story of this.